Margaret Atwood at her very best – sharp, incisive, eerie and close-to-the-bone. This story of an imagined near-future where reproduction is strictly controlled and available only to the few chilled me the first time I read it and the imagery and ideas really stick with you. Offred’s journey and her trials as a handmaid in the Republic of Gilead never fail to shock, even after several re-readings. As a classic film geek, I’d seen the iconic movie long before I ever read the book. I like the film Gone with the Wind….but the book is even better. Entirely of its time, this can mean that at points the vocabulary and the point of view of characters can be antiquated and a shock to modern readers, but besides that the book still stands up as a remarkable work of fiction. It’s long, at a smidge over a thousand pages, but I try to read it at least once every year or two, because the story Mitchell weaves is such an interesting one. Scarlett O’Hara is one of the greatest flawed heroines of all time! I came very late to the Austen party. I didn’t actually read any of her books throughout school or university, which now I think of it is totally bizarre. I read so many other authors, genres, books, but no Austen. Finally, aged 24, I picked up Emma and promptly fell in love with Austen. The wittiness and intelligence of her writing never fails to astound me, not least when you consider the age in which she was writing! I switch allegiances between Emma, Pride & Prejudice, and Sense & Sensibility when it comes to the best Austen book, but when it comes to favourites, it has to be Pride & Prejudice. Every autumn as the nights draw in I curl up with this book and delight in the romantic escapades of the Bennet clan, and I’d heartily recommend it to all lovers of a good read. Another book I came late to the party on (never encountered it until undergrad studies), another classic. Lee’s story of good and evil, family and faith in America’s Deep South is full of characters and scenes that stick with you. Atticus Finch is probably one of my favourite characters ever – his principles and hunger for justice drive so much of the action. In this searing examination of race, class and the human experience, Lee takes the reader on an amazing, and at times shocking, journey. As a child, books were often my best friends. The odd-one-out in family order, living the life of a military brat, moving frequently, real life allies were harder to find. 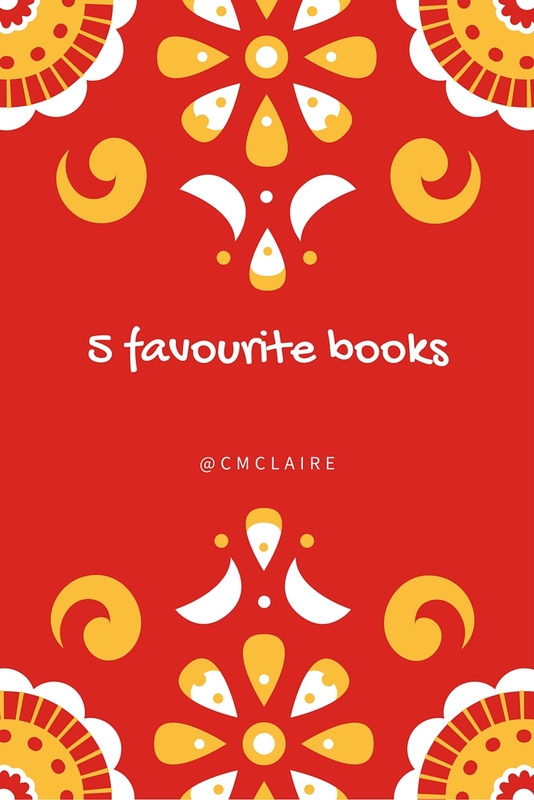 So the characters of my favourite books, whether What Katy Did, Mallory Towers, The Chalet School or Little Women became like friends who I could always turn to, and always rely on. As an adult I still enjoy those books, but for me the first third are childhood favourites, whereas the latter is a great book, full stop. The four March sisters and their family and friends are truly part of me, and I’ve learned countless lessons about life and about myself through the gentle pages of Louisa May Alcott’s masterpiece. This book often makes me smile, always makes me cry, and never fails to make me think. It is truly a work of beauty. Five of my favourites too. I love a post about books! Little Women was a huge part of my childhood. I read it over and over and over. Persuasion is probably my favorite Austen now but when I was younger it was definitely Pride and Prejudice. These are all such great books. Loved Little Women, adore Lord of the Rings which is my go-to escape book, Redwall was a fave as child. Also love the Secret History and… Hitchhikers Guide always raises a grin! I still haven't read Little Women. I've read Pride and Prejudice a few times but there's something about Northanger Abbey that I love.